DETROIT -- General Motors Co. said it sold 9.03 million vehicles worldwide last year, an increase of 7.6 percent from 2010. The result puts it about 1 million units ahead of Volkswagen Group, which believes it should be No. 1. The Wall Street Journal reported that VW feels it would be the top-seller last year if sales of all its affiliates were included. VW's figures don't include the sales from truckmakers MAN and Scania, which will be added in a few weeks, a Volkswagen spokesman told the newspaper. The truckmakers might add 200,000 vehicles to VW's sales total. Rivals also argue that GM inflates its numbers by adding sales from its China partnerships with SAIC Motor Corp. and Wuling Motors Co. Wuling sales, which topped 1 million last year, are excluded from GM's total by some analysts because GM doesn't have a controlling stake in its partner. Volkswagen sold 8.16 million vehicles in 2011, an increase of 11 percent. Toyota Motor Corp., which took the sales crown from GM in 2008, hasn't reported full-year results but it estimates its 2011 volume will be down 6 percent to about 7.9 million units. Toyota's production was limited by natural disasters in Japan and Thailand. 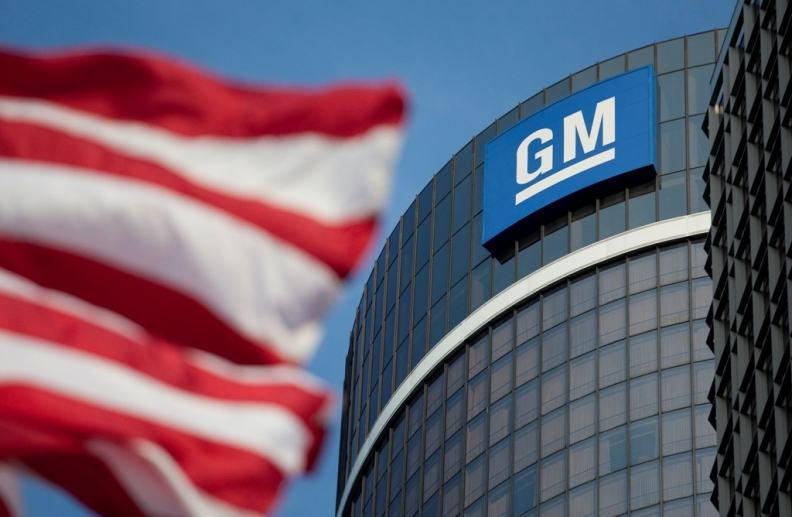 While GM CEO Dan Akerson has said that he places a higher priority on profit margins than on global unit volumes, the sales leadership gives the company a boost, Dennis Virag, president of Automotive Consulting Group, said. "It's bragging rights. Hopefully, that will have some impact on their share price," Vitrag told Bloomberg on Thursday. GM's Chevrolet brand, aided by the Cruze compact car, helped drive the automaker's growth in 2011. Chevy had worldwide sales of 4.76 million cars and trucks last year. The automaker's two largest markets finished with nearly identical totals. GM saw sales rise 8.3 percent in China to 2.55 million, including sales with its joint-venture partners, while U.S. deliveries rose 13 percent to 2.5 million. GM's Asia business, including its partnership with SAIC Motor Corp., has been helped by sales of its Wuling light trucks, which retail for about $4,400. "These are not very expensive vehicles, but they are profitable and they sell a helluva lot of them," said Joe Phillippi , principal of U.S. consulting firm AutoTrends. The return to No. 1 marks a sharp rebound for GM, coming two years after the company exited a U.S. government-backed bankruptcy. When GM was last No. 1, in 2007, it was known as General Motors Corp. and lost $38.7 billion. Last year, the Detroit-based automaker may have earned $8.1 billion. "The difference between this title and other times is that they are profitable and that's where the bankruptcy was helpful," Rebecca Lindland, an industry analyst with IHS Automotive, said. "It's great to be No. 1, but it's a lot more fun to be profitable." Toyota has estimated that 2012 calendar year sales will increase to about 8.5 million while Volkswagen has a stated goal of selling 10 million vehicles a year by 2018 or sooner to become the world's largest carmaker by 2018 or sooner.